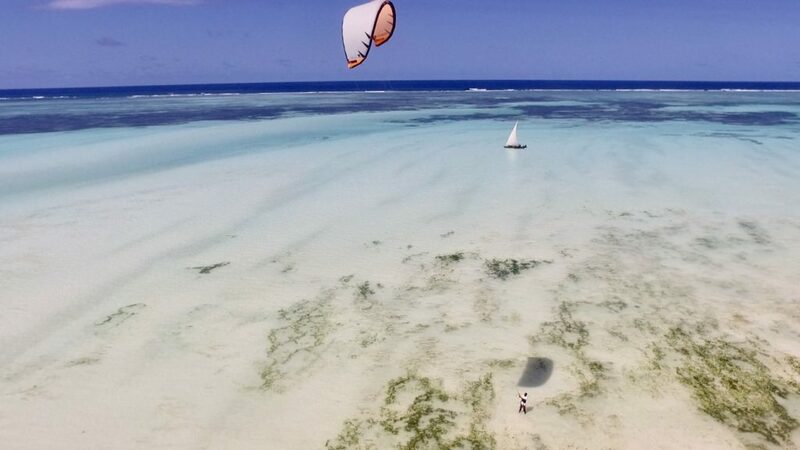 Kiteboarding in Zanzibar is exactly how all the pictures and videos online show it..or is it? Well let’s start start by saying that yes, you can find the beautiful turquoise water and nice breezes but hey choose the season carefully! The Kaskasi season from December to mid March, the wind blows 16-18 knots on average but stronger days are not unusual, the most used kites are definitely 10s and 12s. The wind blows from North and generally shifts from side shore to side-on shore and strengthen in intensity towards the end of the day. The Kusi seasons is bit longer and winds are lighter. The average kites are 12s and 14s as the average wind blows around 12-14 knots. The South-Eastern wind kicks in from June until mid October with July and August being the central months. Nungwi and Kendwa in the North: the area is less affected by tides, therefore you won’t find the pitctures and videos kind of scenery, but rather deeper water. These areas are kitable only from December to March as the wind is completely off shore in the other season. Paje and Jambiani: Paje is the Mecca for kiting on the island, wind is good in both seasons and people are flooding there! There are many kite centres and gear choice but forget being alone there, on a good day you can kites out in hundreds. Discover only recently by the kite community is now developing fast, you can count on more than 10 schools around here and here is also where we are located. The area receives really good winds in both seasons, while Kiwengwa is a bit secluded and southern winds are a bit gusty, the Pwani Mcahgani area is more open and gets better winds. Pwani Mchangani itself has a lot of different spots, the are sandbanks and lot of corals and sea urchins around. 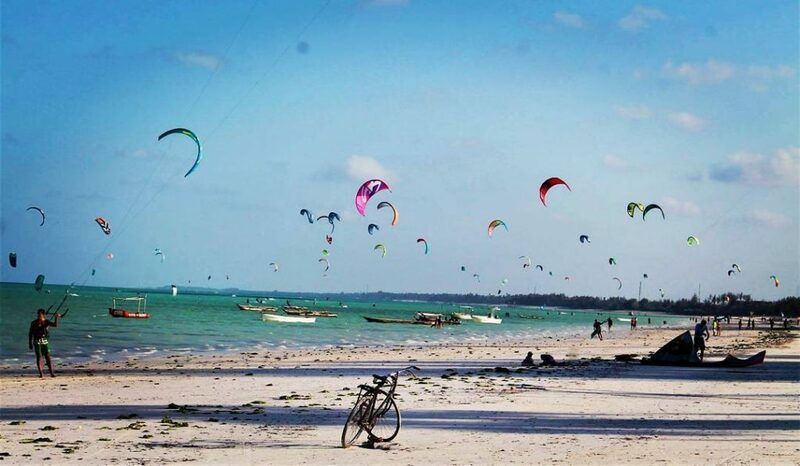 The biggest sand bank area is located in front of Mapenzi, Coral reef and Surfescape Zanzibar where we have chosen to set up our kite centre. It’s here indeed where you can have the full lagoon for yourself free of obstacles in the water. Waves are great!! 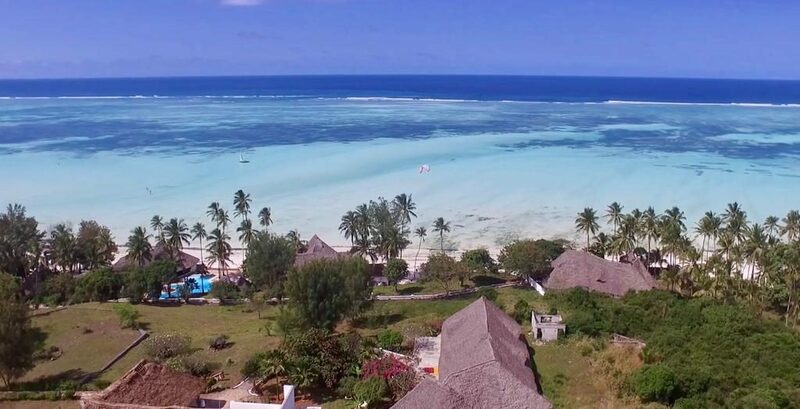 Despite Zanzibar being amous mostly for the shallow lagoons the waves can really be nice in medium to high tide conditions; depending where you are you can find the beaking point anywhere from 1km (Pwani Mchangani, to 2 km in Kiwengwa, Paje and Jambiani). 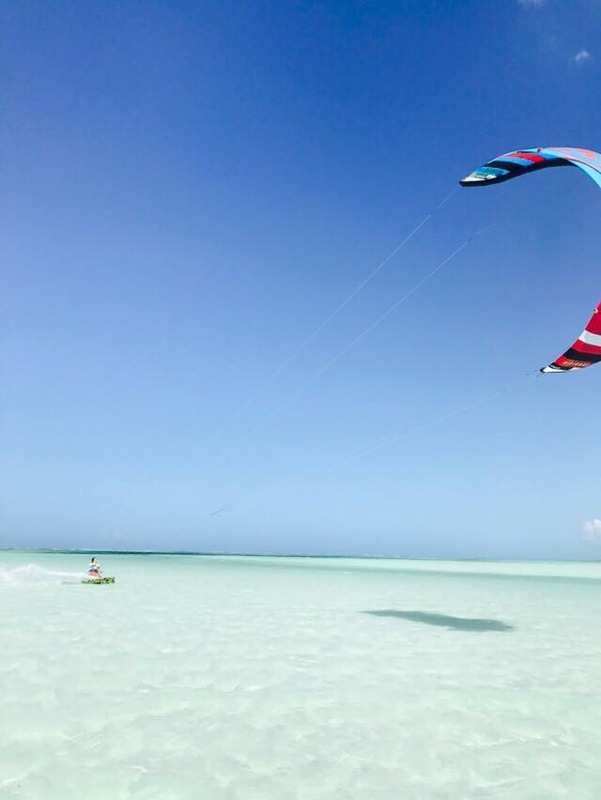 Other things to do on the island if you are a kiter! We organise downwinders from Mnemba to Pwani Mchangani and viceversa, or even longer for iron men all the way to South of the island (2 days!). 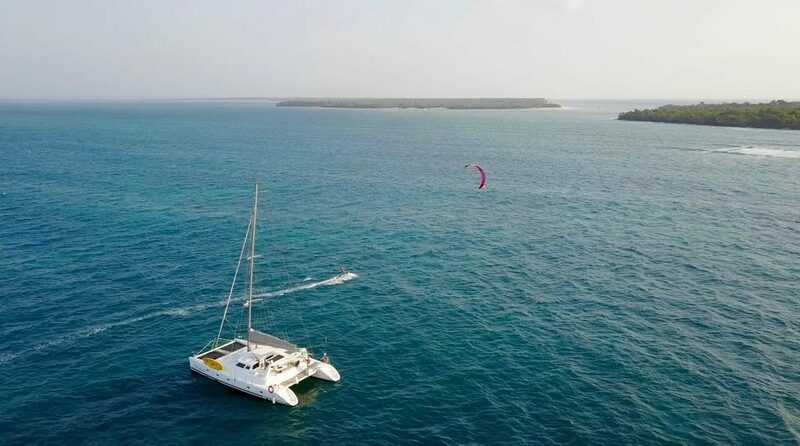 We also bring you the loneliest sandy atolls where you can kite in the middle of nowhere or explore the Zanzibar archipelago on Catamaran trip! Got ideas, think you want to ask and can’t really get round it?